Just as we get news of the Canon EOS RP release, Fuji has just announced the X-T30 and XF 16mm F2.8 lens. The successor to the popular X-T20 which inherits a number of features from the X-T3. The camera body retails for $899 USD & the lens for $399 USD. While it’s not a full-frame camera, the Fuji APS-C sensors have been much loved and Fuji has been aggressively adding in video features to their latest cameras. The X-T30 is no different. It can shoot 4K30 with a maximum bitrate of 200Mbps or 100Mbps (depending on codec) and Full HD up to 120fps. It also packs in the film simulation modes including Eterna & Velvia. If you want to record 4K60, you can step up to the Fujifilm X-T3. To capture a 4K image, the X-T30 actually records in 6K and down samples. It is also capable of 4K DCI which has a 17:9 ratio. For those using an external recorder like the Atomos Ninja V, the X-T30 can output video in F-Log at 4:2:2 10bit via HDMI. In addition to the 100% Phase Detection AF coverage, there is also face & Eye AF like that found in Sony cameras. The new AF algorithm maintains tracking even if the subject looks away. A firmware update is available for the X-T3 to update the AF performance. Unfortunately, the 3.0″ touch screen only articulates upwards, so you won’t be able to use it while seeing yourself for vlogging or selfies. The Fuji X-T30 has a retail price of $899 USD. A big advantage of the Fuji cameras compared to the new full-frame Nikon Z & EOS R cameras is the extensive line of lenses already available for X-mount. 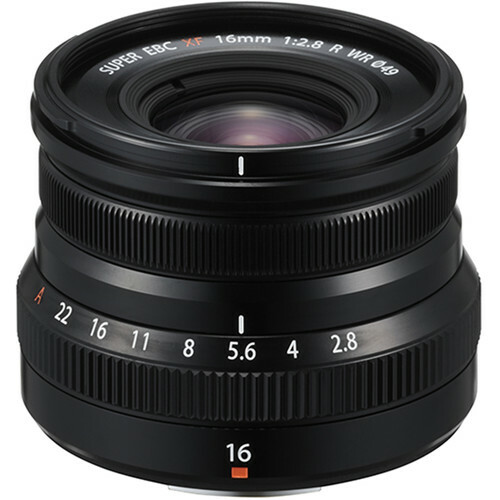 Also announced today is the XF 16mm F2.8 lens which is 24mm on 35mm equivalent, making it a nice wide angle option. Photographer David Flores shares his experience with the Fuji X-T30.